2015 Father’s Day gifts from kids. Read here to get ideas on what to get for your dad this Father’s Day. List of 7 fantastic ideas ranging from men’s clothing, to room decor, men’s grooming and more. These gifts are cute, nice and affordable. Suitable as gifts for dad from kids. 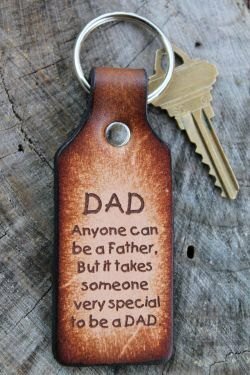 This wooden sign is a wonderful gift that dad will definitely love. Simple design with aged effect, coupled with cute message to make dad feels proud. It is a nice room decor that can be displayed at desktop or hang as wall decoration. Men’s grooming like shaver, shaving cream, after-shaves are good choices for Father’s Day. 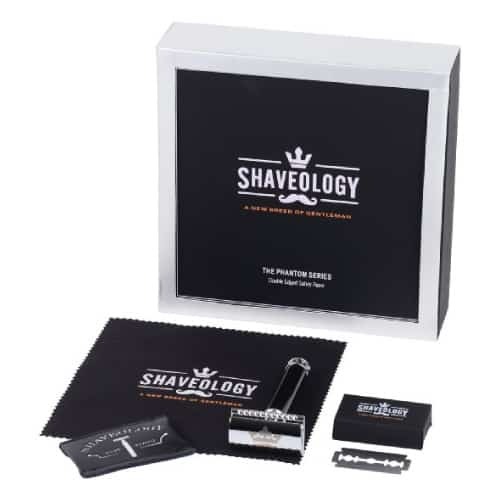 We recommend this box of razor set loved by lots of men. High quality Phantom Series Razor by Shaveology. Sleek, sturdy, ergonomic. Engineered for the gentlemen. It works well to give you a close and clean shave without irritation. Another great Father’s Day gift from kids. 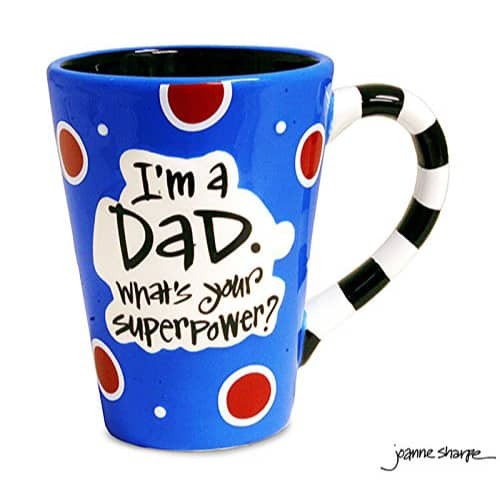 An awesome ceramic mug that says “I’m a Dad. What’s your super power?”. Fun style, vibrant colors. Perfect for morning coffee or tea. Functional and sentimental. It makes one of the best Father’s Day gifts from kids. For dads who love cooking and grilling. 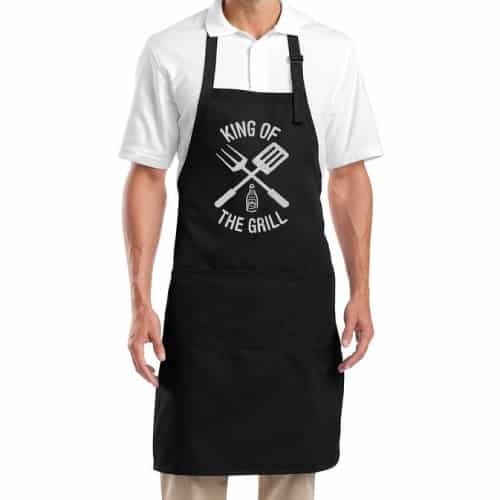 This apron fits perfectly for the big chef/ BBQ expert. Features durable canvas, adjustable neck and 3 pockets to hold the cooking stuff. Also available in red, white and beige. 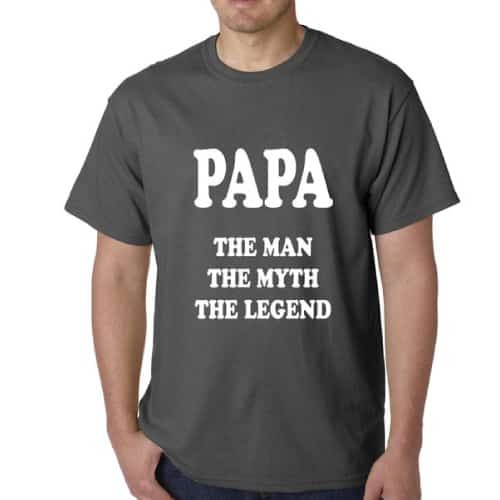 This Father’s Day, you can also get this cool statement T-shirt for him. Made from comfortable pre-shrunk cotton. It is stylish and eye-catching. Other dads who do not get this cool shirt gonna be so envious of him. 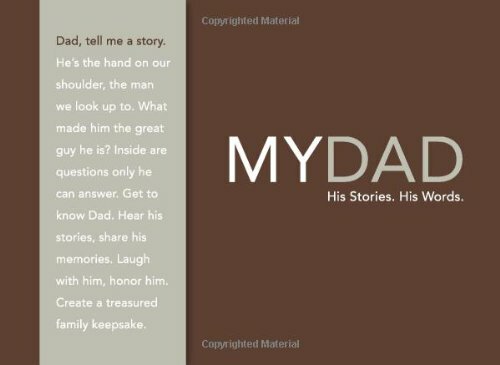 The last item in our list of Father’s Day gifts from kids – a hardcover journal for dad to talk about his stories and memories. This little book asks interesting questions and prompts with lots of spaces for dad to write down his thoughts. Simple, straightforward and thoughtful. A great book to pass down the legacies of the great man in your home. That concludes the list of 7 Great Father’s Day Gifts from Kids. Thanks for reading!